Parking on the ATEP campus is by permit only in the designated spaces 24 hours a day, 7 days a week. 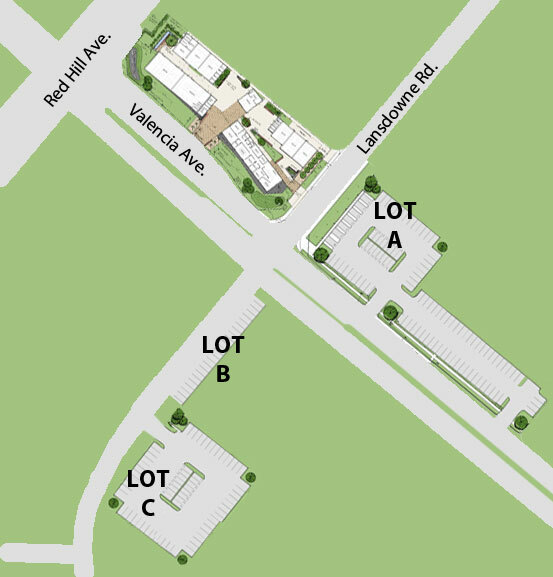 NOTE: Both Saddleback College and Irvine Valley College permits are VALID in the ATEP parking lots. Student parking permits are not valid in parking spaces marked as staff. Staff parking is located in the same lot as student parking. Parking permits should be displayed in the lower corner of the driver's side windshield. Permits are "static cling" and do not require permit hangers. Because ATEP is a satellite campus of both Saddleback College and Irvine Valley College, parking permits may be purchased any time at your college of record, or during the first week of each semester at ATEP. Parking citations at ATEP are handled by Irvine Valley College Police Department and are subject to the policies and procedures of that department. A daily parking permit dispenser ($2/day) is located in the main Parking Lot. When properly displayed, permits are valid in student parking only. If you encounter a mechanical problem with the dispenser, please report it to Campus Safety at the Administration building front desk.